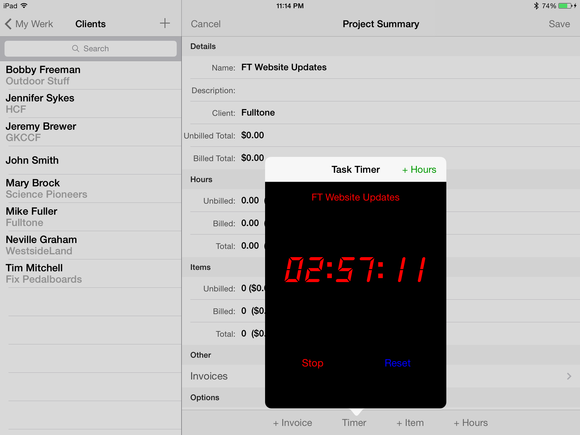 TimeWerks for iPhone project summary. 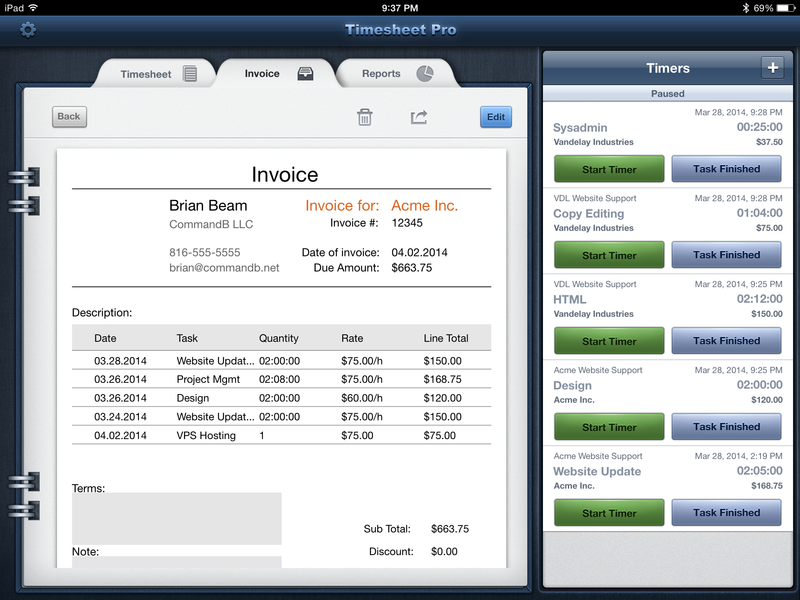 TimeWerks for iPad invoice creation. 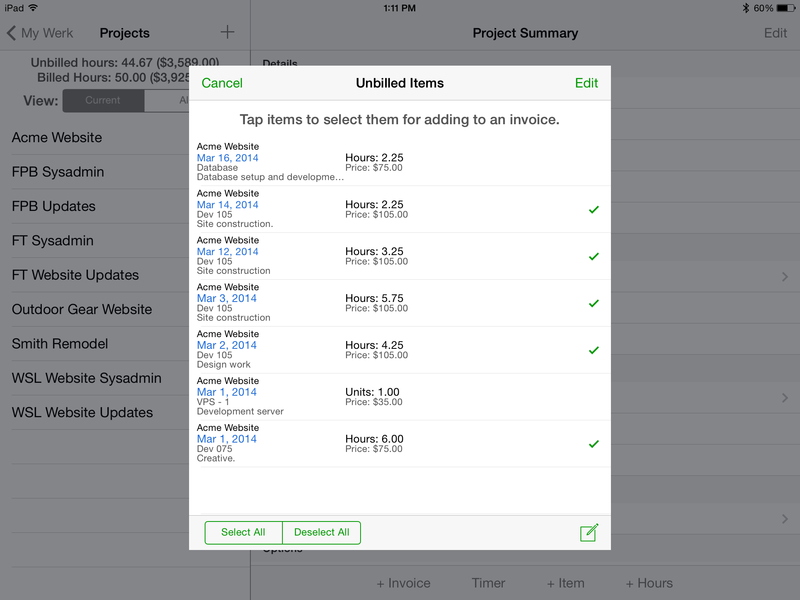 Although there's no free version you can try first, at only $5 for the pro version—and even allowing for the extra fee for backup and syncing—TimeWerks Pro is an economical choice for freelancers and small businesses who need to track time and invoice clients. Timesheet Pro is a universal app with an iPad-enhanced display. However, if you work between an iPhone and iPad, the app isn't very conducive to keeping your data in sync between them. While it's possible to backup and restore your data via direct Wi-Fi connection—a nice protection against a lost or broken device—that's not a practical solution for working among multiple devices. 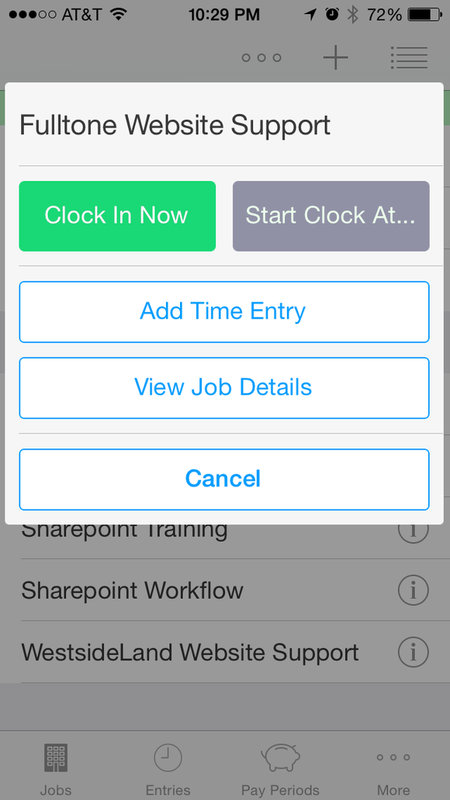 If that's a deal breaker, then TimeWerks Pro is your better bet. 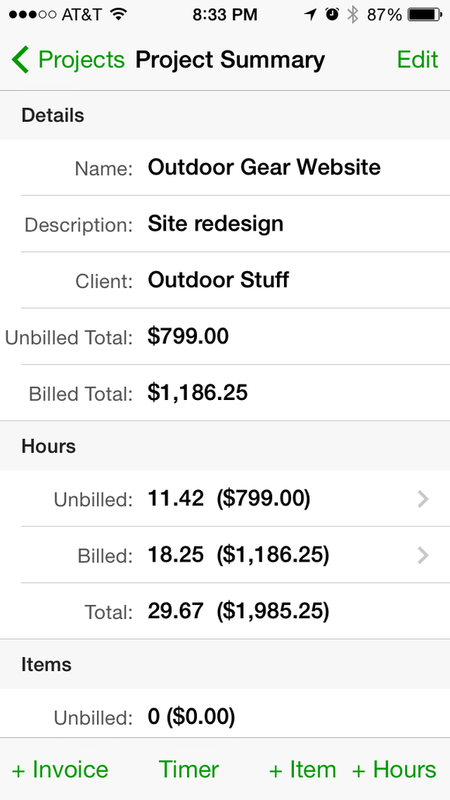 Hours Keeper Pro for iPhone. 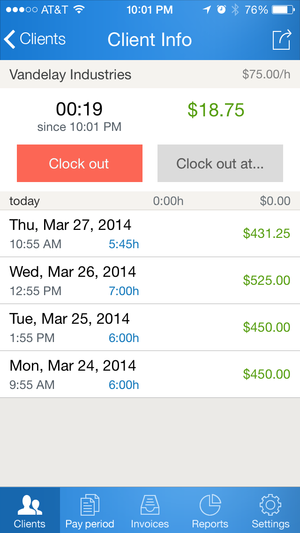 Time Tracker Pro, by Nonlinear Ideas, is a $3 universal app that does exactly what it says. The app's main screen lets you have several timers visible at once and quickly alternate among them. While you can track the total time spent on projects and tasks, the app doesn't create invoices. However, you can produce time reports and graphs that can be exported. 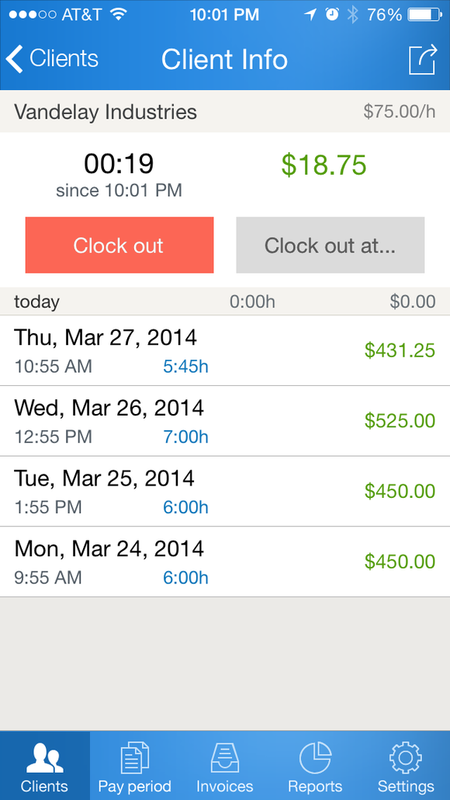 While I appreciate unique designs, the app's quirky interface may not be to everyone's liking. 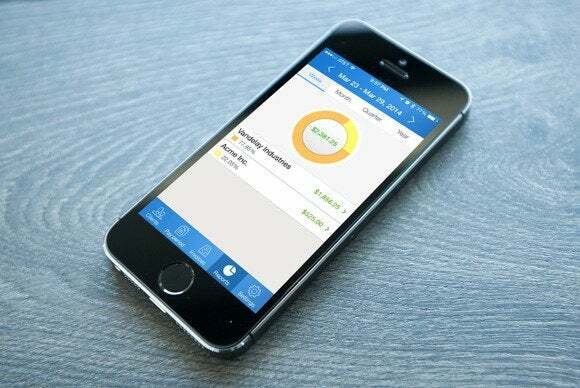 A $1 in-app upgrade will let you back up your data in case you should need to restore it to another device. 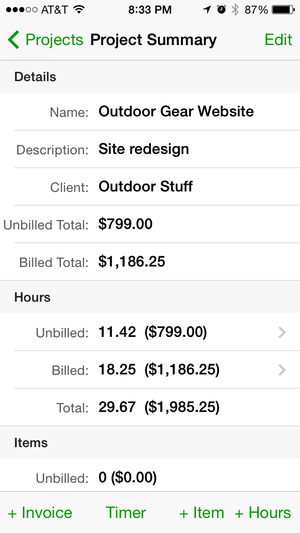 Editor's note: Updated on 4/23/14 to correct the price of Time Tracker Pro.